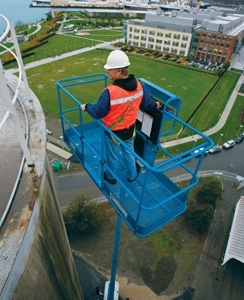 Genie Cherry Pickers offer a range of working heights and outreach suitable for all applications. 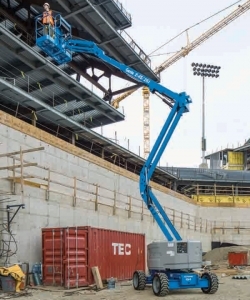 Electric Articulated Booms offer quiet, emission free operation, and are the ideal cherry pickers for use in sensitive work environments. Proportional lift and drive controls allow precise positioning of the boom and smooth drive performance, with a tight turning radius. 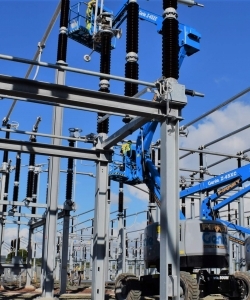 The electric boom range includes a variety of narrow models ideal for the tightest, most confined areas. 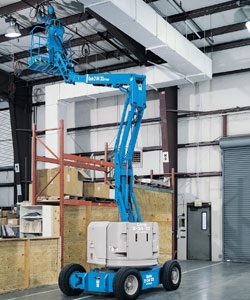 Bi-Energy Articulated Booms use a 48v DC machine with a diesel-powered generator, and are ideal for industrial use where the boom lift needs to be driven significant distances. 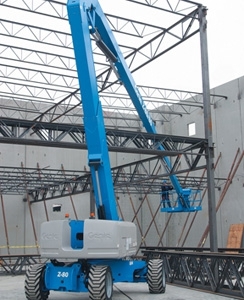 Diesel Articulated Booms provide lifting versatility with a wide range of working heights and outreach. They also offer high ground clearance, two or four wheel drive options and positive traction drive for easy travel over rough terrain. 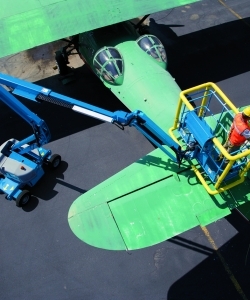 Ideal for outdoor construction and industrial applications. Supplied with rotating jib for 180° of horizontal rotation. 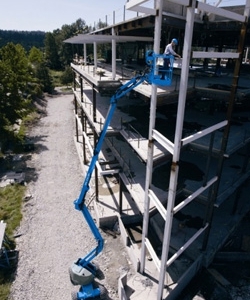 Working height 10.89m, lift capacity 227Kg. 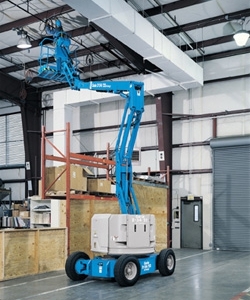 Lightweight compact boom, ideal for working on sensitive floors, e.g. shopping centres and airports. 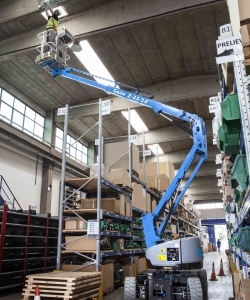 Working height 12m, lift capacity 200Kg. Only 1.47m wide with no tailswing for use in tight areas. 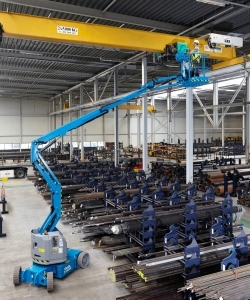 Working height 12.52m, horizontal reach 6.78m, lift capacity 227Kg. Efficient, electric powered with a Sep-Ex 48v DC drive system, to improve performance and reliability, whilst providing outstanding battery life. Combines the quiet, emission free, operation of a 48v DC machine with the versatility of a diesel powered generator for both indoor and outdoor applications. Rotating jib gives 180° of horizontal rotation.1.5m wide. 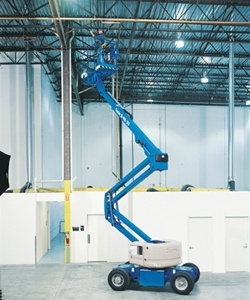 This is an ideal cherry picker for hard to reach areas. Supplied with 1.52m jib boom providing 135° of vertical jib rotation. 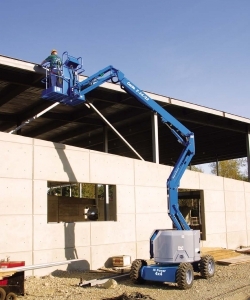 Working height 15.94m, lift capacity 227Kg. 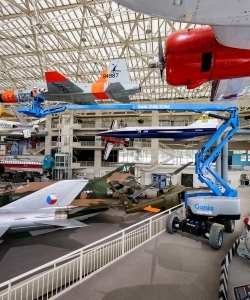 Bi-energy cherry picker, supplied with 1.52m jib boom. 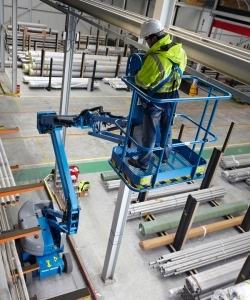 Working height 15.94m, lift capacity 227Kg. With optional 1.52m fly jib. tight turning radius, zero tailswing. Working height 16.05m, lift capacity 227Kg. 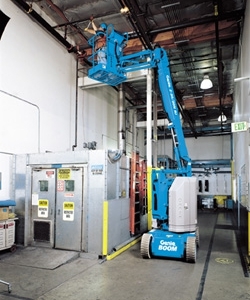 Extremely popular & versatile machine now available with the restricted envelope of 454kg lift. 15.91m working height & horizontal reach of 7.55m. 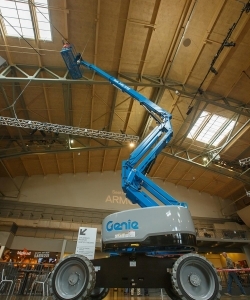 This versatile cherry picker has a 1.52m fly jib, an impressive driveable working height of 17.59m and max horizontal reach 9.37m. Choice of two models of operation, full electric or hybrid. High performance, high efficiency and low emissions. 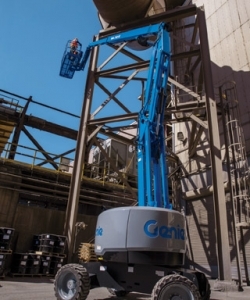 All-electric Genie® 20.16 m Z™-boom lift fast re-charging capabilities, operators can use this machine every day.